What Comes After We Choose To Go To The Moon? During the 1960s there were lots of little kids jumping into newly fallen snow and shouting “First Man On The Moon!” when their boots left a print. 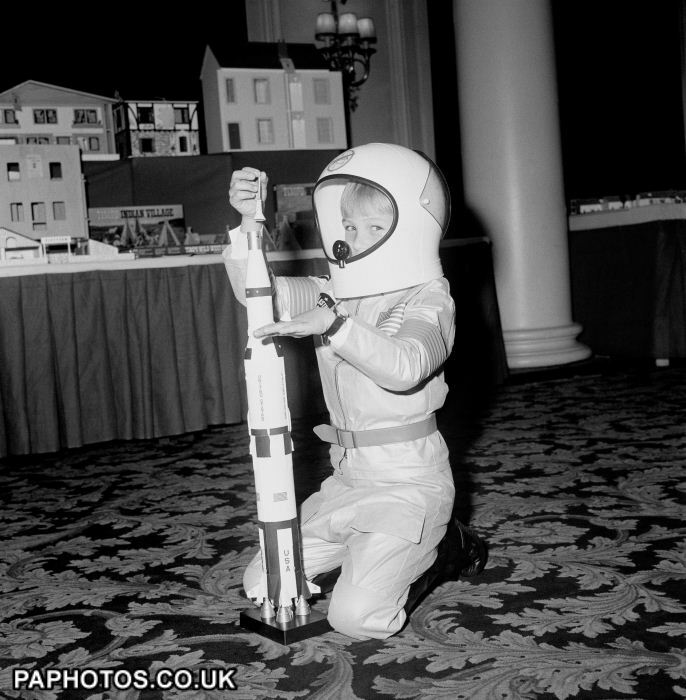 Little boys (and some liberated little girls) dreamed of and played at being astronauts. Even if children weren’t old (or sophisticated) enough to follow NASA’s doings, there was I Dream of Jeannie. Popular culture was drenched in all things space-age and planetary. The space program was in the air if you will. Being an astronaut was to a 1960s kid what being a cowboy was to a 1950s kid. Adventure, exploration, and glamour were all packaged into a very cool outfit. Astronauts, like cowboys, even had special food. They had belts that held their lifesaving apparatus. But they also had science. For a kid who loved rocks, or space, or climate, or chemistry, he/she too could dream of being a superhero. No one will dispute that the space program has lost some of its glamour and pizzazz over the decades. Space is not new anymore. Technology has progressed and men and women in space suits are no longer required to achieve the mission. NASA has shrunk and no one dreams of being an astronaut any longer. But what has taken its place in the imagination of children? What is there today that encompasses exploration, science and glamour? Surely there are lots of careers that hit on 2 out of 3. But is there anything, not involving sport, celebrity for celebrity sake, or undefined means of accumulating wealth, that is universally compelling to children today? One could posit that computer programming (in the form of gaming, biomedical, etc.) is our new space program. It is the new frontier. But only for a select few and there’s nothing particularly heroic about it. On a more practical level how in the world do you play “computer programmer” in the backyard? (But then again, does anyone freestyle play in the backyard anymore?) Even if it were fun to do so, only a small percentage of children would ever aspire to sit at a desk and write code. Every kid everywhere played cowboy (1950s) or astronaut (1960s.) Did a kid from the Bronx really stand a chance of homesteading and ranching someday? (Could his mother have survived it?) Did a rural kid with an allergy to moon dust and zero interest in science make it into the space program? Not without a miracle and some sudafed. But they had a shared dream/fantasy. For all the glamour of being an astronaut (and the sports cars, groupies and ticker-tape parades add up to a whole lot of glamour) it was a serious (and at times deadly) profession. The space program was staffed with; test pilots, scientists and engineers. These were highly educated people with talents and skills of, well of rocket scientists. There was a whole lot of there there. They were glamorized for having the right stuff. Children were right to idealize these grown-ups. Their play, whether building cardboard box rocket ships, or jumping into snowbanks, was rooted in something real and admirable. For too long we have not provided children (and therefore humanity) with a universal dream. We once heeded the call to do something not because it was easy but because it was hard. Perhaps it’s time to suit up and have another go at it.